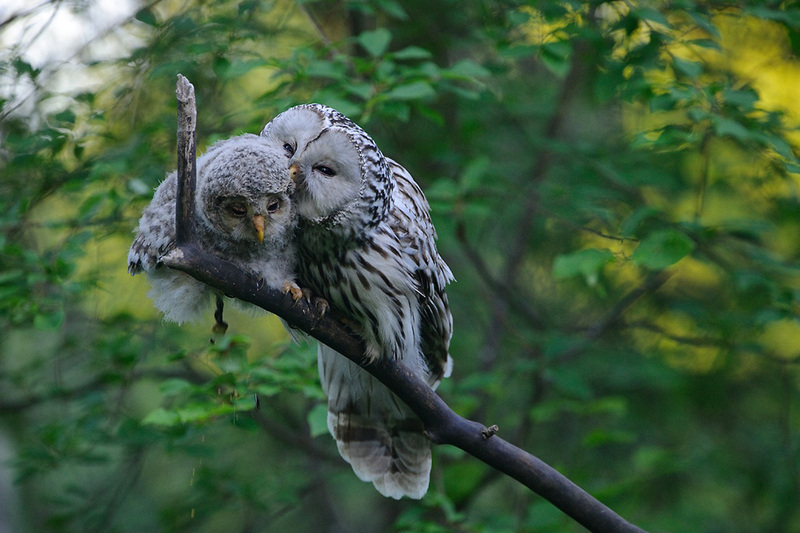 A female Ural owl is preening its young, while the chick is realeasing excess baggage. I was lucky enough to have a story of my beloved Ural owls published in National Geographic magazine and this photo appeared as a two page spread. Every spring sind 2007 has passed under the spell of owl photography for me and there have been great times. I have recieved a lot of questions about what my next project might be? But, I have never thought of the owls as a project, they meant much more to me. They have had special place in my heart ever since I first saw one of these birds with captivating deep black eyes. So my answer is that I will continue to watch their life unfold in front of my lens for years to come, because I cannot imagine a spring without Ural owls. The article will come next month on the portuguese editio of National Geographic, I m a subscriber and I looking foward to see the article. As you said, if this photo is a double page, it is already a winning article! Great work Sven and congratulations for this National Geographic article!